In today’s interview, we have James, the product manager at Shenzhen Kandao Technology, here. For those digital enthusiasts, I don't have to introduce his company again since they are all very familiar with it. 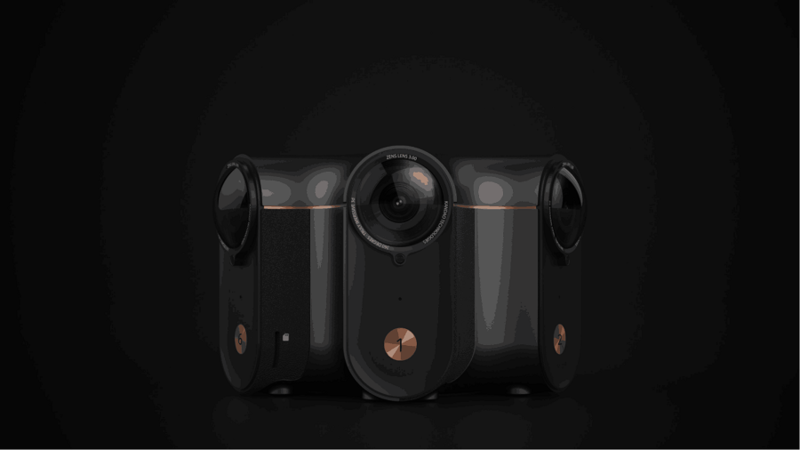 Last year, their self-developed Obsidian 3D Panoramic Camera stood out as China's first CES Best of Innovation Honoree in the Digital Imaging product category. I believe that many friends like me would be curious about the team behind this product. As a member of this team, James will talk about this excellent product with us in this article. James has been a product manager for 5 years. He used to be a developer. The story of him becoming a PM from a developer is very interesting. James was in a foreign-owned enterprise at that time and most of the customers are foreigners, so they needed to communicate with each other in English. As James speaks English well, he was arranged with more and more communication-related tasks, which finally makes him a PM. James has accumulated a lot of experience both on domestic and foreign projects, so I have questions about this for him. Ju: What are the differences between domestic and foreign projects in the demands of users? Ja: We use different social platforms. Foreign friends usually use Facebook, so they will do a lot of small applications for Facebook. Besides, there aren't such big demands of mobile apps in foreign countries like that in China. Ju: Why does this happen? Is that because these mini programs on Facebook have already met their needs? Ja: I think the main reason is that the development of mobile ends in foreign countries is not so fast like that in China, but this situation just happened 2-3 years ago. At that time, our company focused more on Southeast Asia market, and we mainly made web applications. Only when we turned to the Chinese market, we began to pay more attention to mobile applications. Ju: When WeChat first launched their mini programs, people held great expectations on it. However, the development of mini programs seems not so smoothly as expected. What do you think about WeChat mini programs and WeChat H5 small applications ? Ja: First of all, these two are not the same concept. Some people may confuse them. I think that H5 small applications are mainly used for promotion of business, so even if they disappear or disappointed by public, there are no better alternatives of them. As for the mini programs, they are strategic products, and they will eventually lead part of the traffic into the WeChat ecosystem. Now some people get disappointed, maybe it's because the beginning is always hard, or maybe they just held wrong expectations towards them. Last year, Obsidian camera won the CES Best of Innovation Honoree. 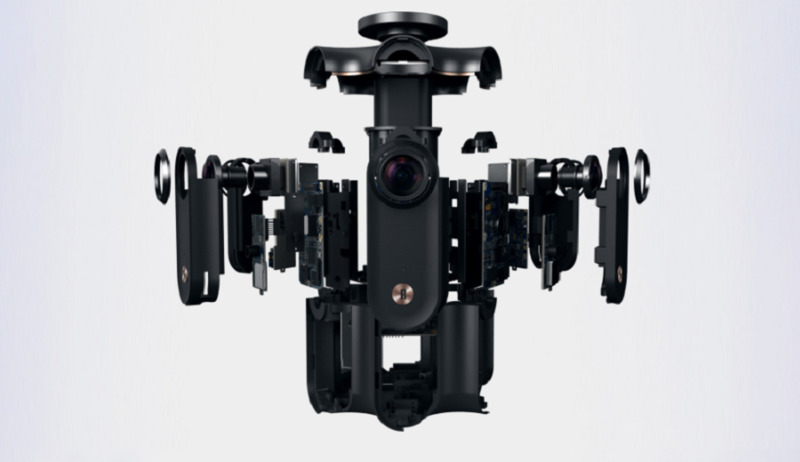 This April, Facebook computer visual engineering director Brian Cabral also introduced this camera and praised it as a leading product in the VR industry on Facebook F8 global developer conference, which is a global science and technology event . Ju: Would you mind introducing your team to our readers? Ja: Our company specializes in VR video hardware and software development, providing independent intellectual property rights of the panoramic broadcast, VR video production. As the only one company with 3D high-quality VR video broadcast capabilities in China, Kandao technology use the best product to help users play VR video, creating infinite wonderfulness. Our founder and core team members are from Hong Kong University, Tsinghua University, Hong Kong University of Science and Technology, National University of Singapore, University of California, San Diego and other world-renowned universities and Huawei, Tencent, NetEase, CLP and other well-known enterprises, so we have strong R&D and operational capabilities, which ensures our company stay in top of the field of panoramic VR video in the world. Ju: Last year when this camera won the Best of Innovation Honoree in CES, how do you feel about it? Ja: This is a great honor for us, and it affirmed our work. Since our team is highly streamlined, everyone has done a lot to make it better. I hope that our team would grow stronger and offer more good products for users. Ju: Tell us about this camera, James. Ju: Which one are you in charge of? Ja: all of them, because it is a start-up company, so I have to do a lot of work, and now we have more PMs, so I feel more relaxed now. Ju: The research and development of this camera are all done by your own, so in the process, have you encountered any difficulties? Ja: We encountered difficulties every day, because the production of hardware is more complicated than software. Software can quickly iterate, while hardware can’t. The cycle of hardware production is very long, and making an camera needs too much knowledge. Making Apps seems easier, but in fact it is still difficult, whether the mobile or desktop applications, you need to focus on the algorithm. Ju: Many designers think that the design trends of UI / UX will change to VR and AR, and this year Apple also released ARKit. What’s your opinion? Ja: Yes, I think so. Apple always leads the trend in this industry. If Apple would make it this time, other Android devices will follow it. For AR content manufacturers, this market would be bigger. Its impact on the industry is certainly positive. I’m personally optimistic about VR in the short term, but in the long run, AR would have a brighter future. In fact, I’m also focusing on the applied situation of ARKit. Ju: Does this mean you want to use this feature? Ja: Of course, I want to have a try. Ju: I’m still very curious about whether there is any difficulty when you design prototypes of your product? Because it sounds like there is a huge difference between your product and general Apps. Ja: I now use Mockplus 3.2 to design prototype. In fact, the interface of our product is very similar to those previous WeChat applications. And the most important thing is that Mockplus is easy to get started, and I can design a prototype very soon, and it’s also very convenient to share your design to others.